We’ve been away in June – hence the silence. Flying to Genoa to begin our Mediterranean cruise got me thinking about airline regulations on needles and hooks. The truth seems to be that nobody really knows what is allowed and what is not. A couple of years ago when I used to go to a local sock knitting group a very experienced African knitter who travelled frequently told us that he had been advised to knit with circular needles on flights as the removable ends measure less than the all-important 6 inches – longer than this and your needles were likely to be confiscated. 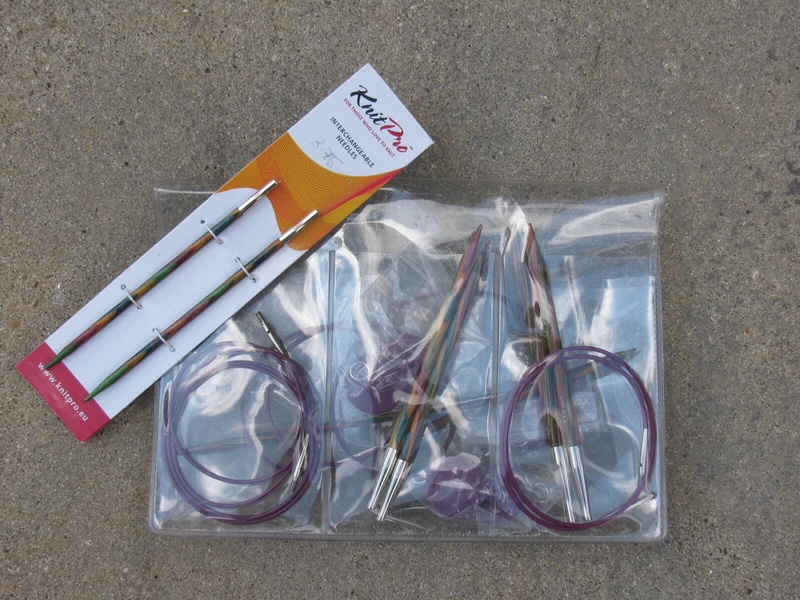 He was so proud of his pack of Knitpro Symphonie needle ends and cables and very happy to explain exactly what he had in the plastic pack to one airport security chap who was suspicious and more than a little mystified. At about the same time I made the decision to crochet rather than knit during flights. Working on the assumption that a plastic or wooden crochet hook is very similar to a pen or pencil I put together a little pencil case with a couple of hooks, a pen, pencil, tape measure and my trusted pendant with its interior blade. Not once at airport security has this been questioned so I have been able to crochet my way through all of our recent flights – even long haul ones. However, before this last flight to Genoa I was rather taken aback to be very enthusiastically manhandled at security by a large female employee who seemed convinced that I was hiding something dubious on my small person – full body search, indeed, and not content that my person held no secrets she then had my canvas pumps sent back along the line to go through the scanner. I must just look suspiciously like a terrorist! 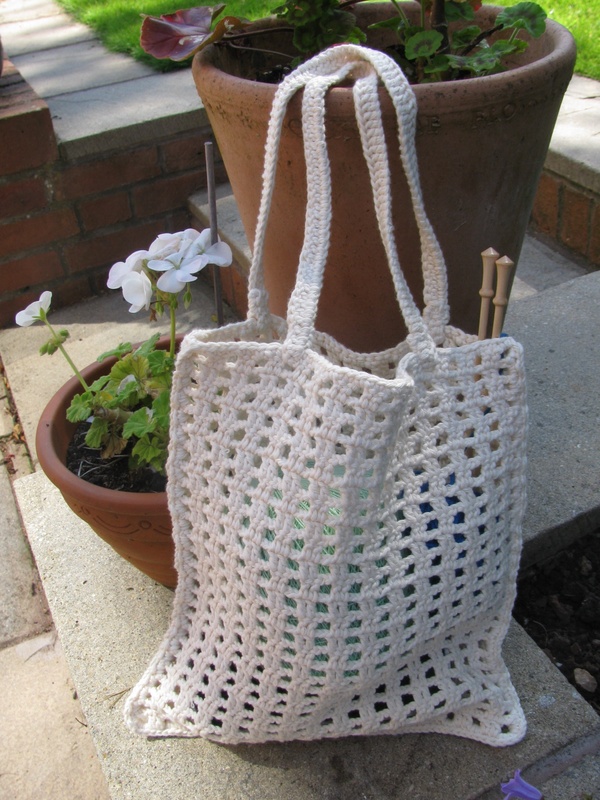 Of course, my bag with its crochet paraphernalia sailed through – in fact, even on the occasions when they have asked to look in my bag nobody has shown the least interest in the crochet! So, what was I working on during the cruise? 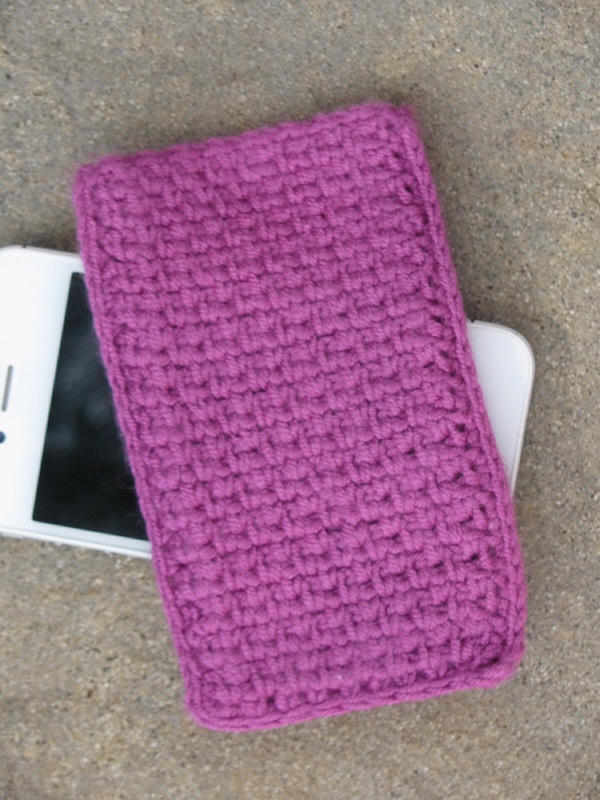 Small portable items – and this is where crochet comes into its own. A couple of carefully chosen balls of yarn and different size hooks and the choices are many. On the way out I made two different iphone cases trying out two different techniques…. 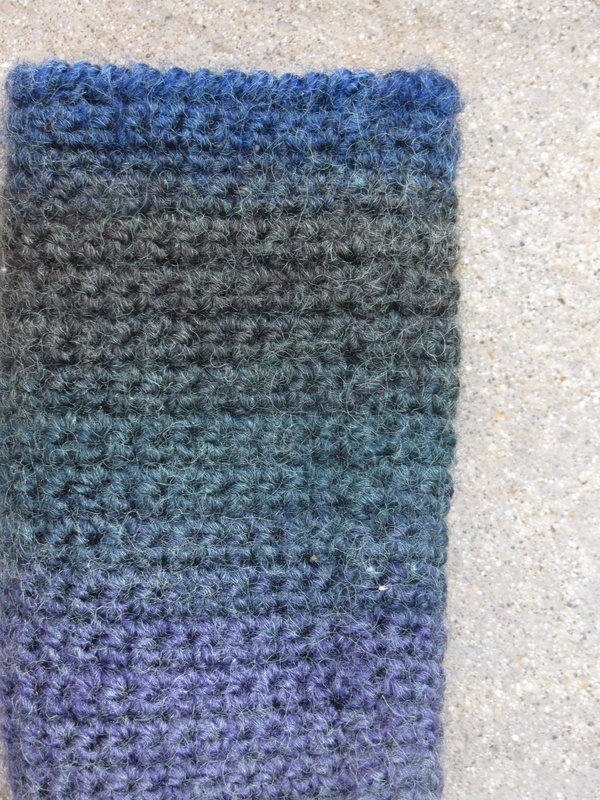 The first of these uses a stitch which I call linen or dishcloth stitch – alternate double crochet and chain spaces. I love it because it lies very flat. 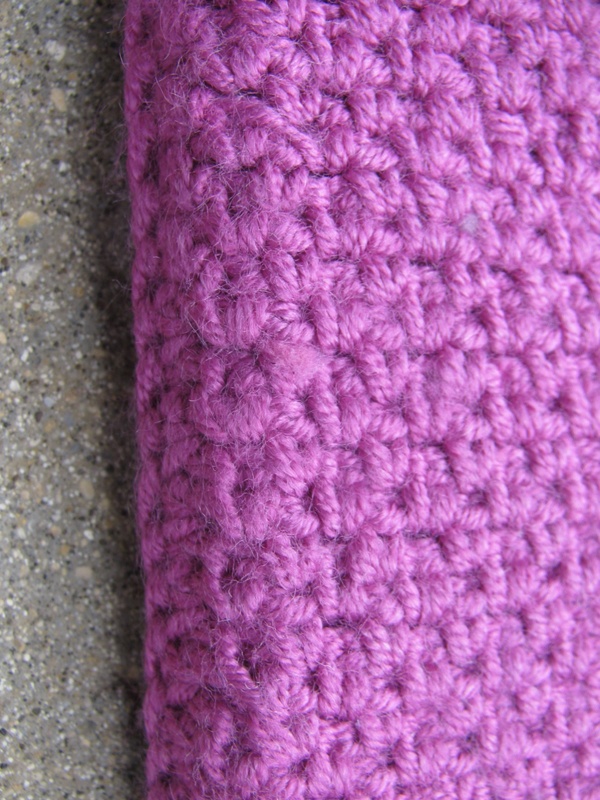 This cosy is made in one piece, folded and seamed on the right side with double crochet even across the fold. 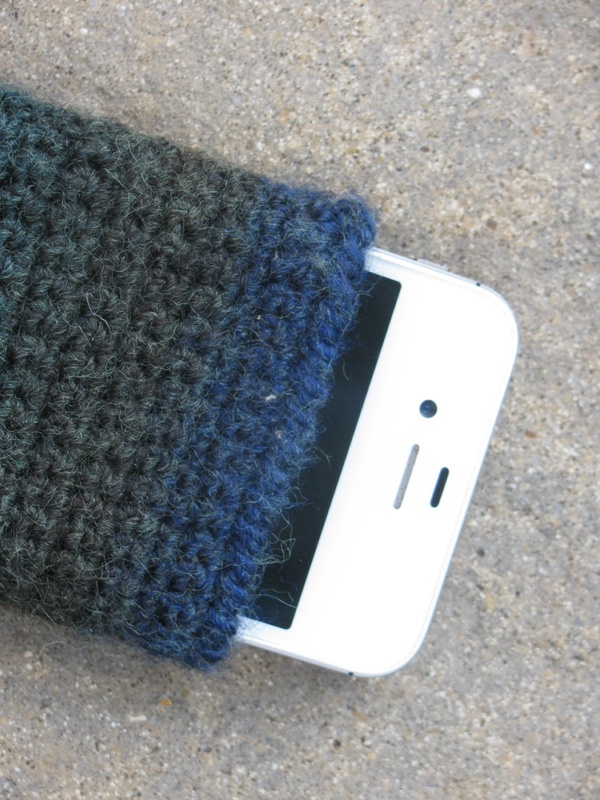 The second iphone cosy uses a different technique: the stitch is double crochet and it is worked in the round. 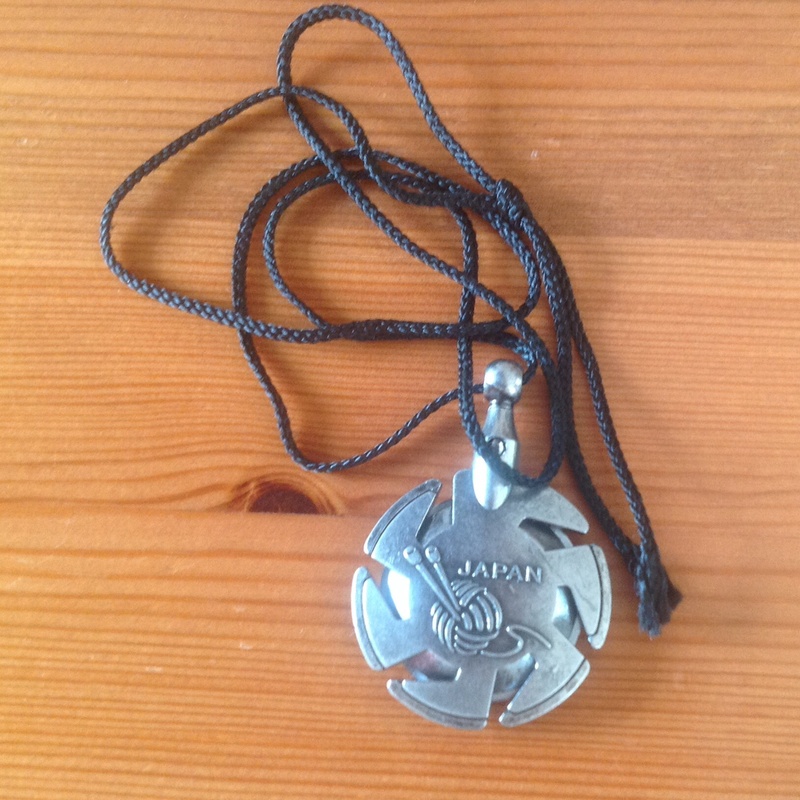 Unlike some such projects the work is turned after each round to avoid a slanting join. 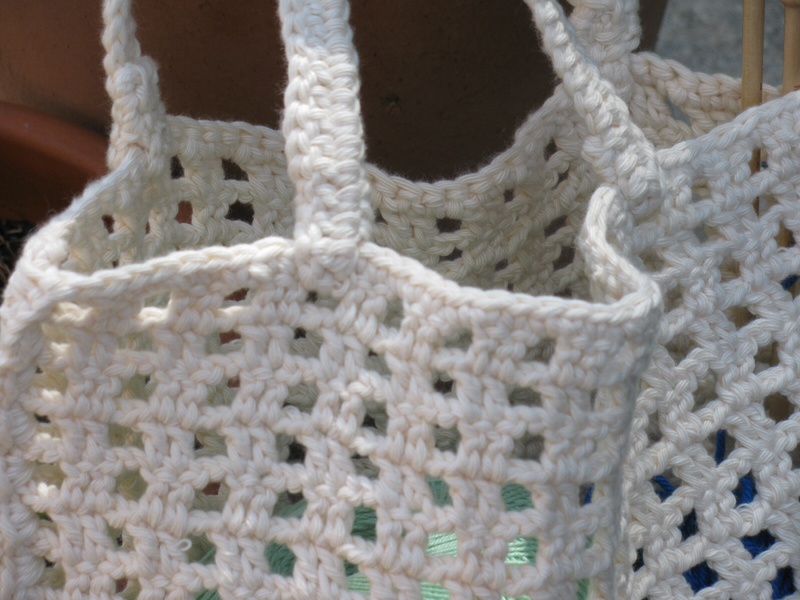 During the cruise Itself I managed to find enough free time to make a cotton DK bag using a very basic type of filet crochet pattern. Having never tried filet I wanted to give it a go and have to say I am pleased with the result and feel quite tempted to try a finer thread filet pattern. The one thing that puts me off making bags is having to line them- I never was any good with needle and cotton! My projects will just have to fit into a poly bag or else the string bag will be used by my granddaughters to carry assorted stuff! During the flight home I was sitting next to a lady who wanted to be able to crochet so I enjoyed starting her off on the basics of rows of double and treble crochet. Hopefully she has become another convert to the craft. So, now I can get back to my pebbles and other exciting projects – there are so many projects in my to-do queue that I’m not sure where to start. So on that note I’ll say “Keep crocheting”.